The Center for the Arts presents the Lisa Leizman Dance Company in concert on Friday, May 10 in the magnificent new Flex theater space of the Northampton Community Arts Trust Building, 33 Hawley Street, Northampton. The 7:30 pm performance is followed by a festive dinner reception prepared by members of the Lisa Leizman Dance Company. Tickets are $17 for adults (in advance)/$20 (at the door) and $10 for children under 10 (in advance)/$12 (at the door), available at https://www.brownpapertickets.com/event/4208522. Advance tickets are strongly recommended. Warmer days, sap flowing, soft growing light. Time for some sweetness! How about spending a lovely spring evening with the Center’s long-time resident dance company? Find sweetness in the old—repertory pieces “Evening Song” with music by Philip Glass in an extraordinary arrangement by Peter Blanchette and “Sonata for Alto Horn and Piano” set to music by Paul Hindemith. And look for sweetness in brand new work set to music by company composer-in-residence Andrea Kwapien (“Imbolc”) and in an aria from Cantata 51 by J.S. Bach. Underfoot, a beautiful new hardwood floor perfect for dance. 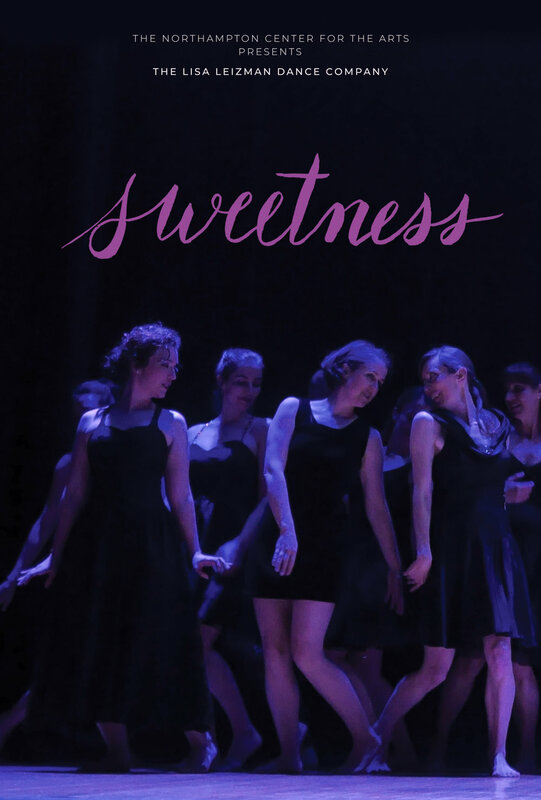 Not to mention plentiful free parking and a delicious reception following the performance—now that’s sweet!